For most people, Christmas Day begins very early in the morning with with present opening (or, if you have young children in the house, frenzied present opening!). Then it’s on to breakfast. Keep the Christmas spirit rolling with these Christmas breakfast ideas that are as delicious as they are visually appealing. 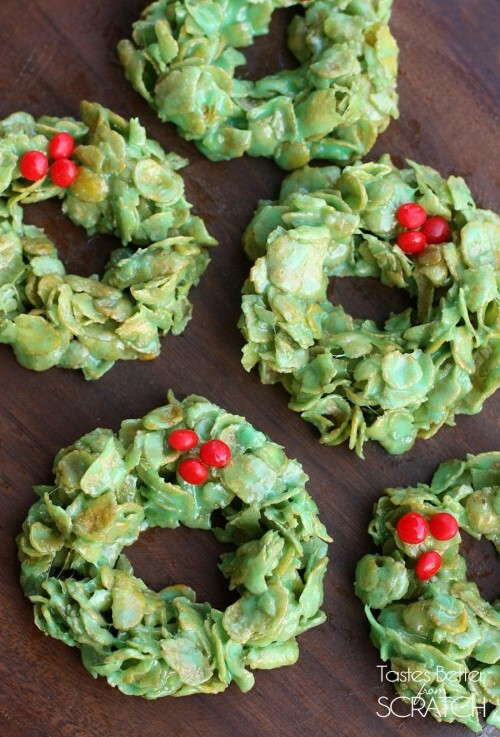 These colourful little Christmas Cornflake Wreaths are just perfect fare for Christmas morning; especially if all family members get together and work on the assembly line. Make a big batch, though, because they’re really yummy and won’t last long! 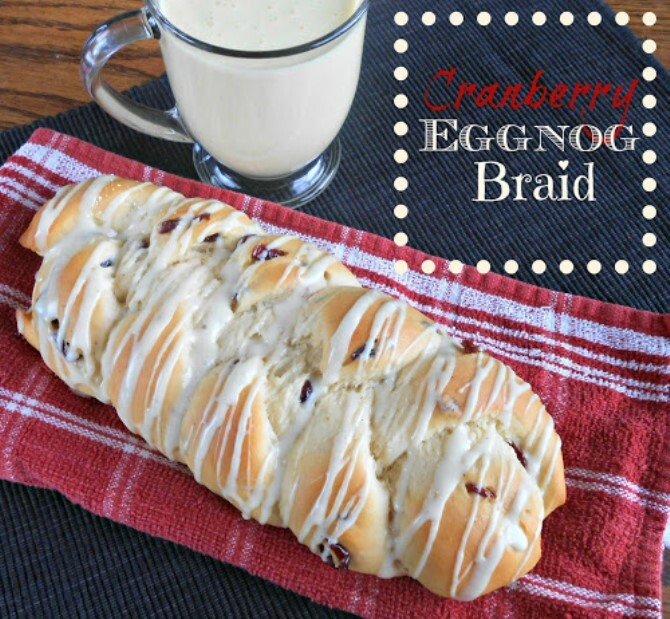 If you love eggnog, and you love bread, then you’ll truly love this delicious treat. And it’s just perfect for a Christmas breakfast because it’s so pretty. It’s not difficult to make, so why not give this recipe a try for your eggnog-loving family and friends. And, what a beautiful Christmas gift for people you care about! 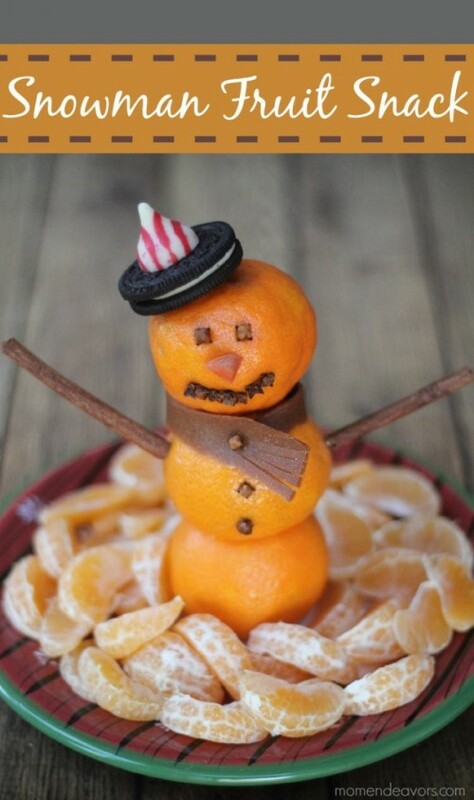 What could be nicer than this Snowman Fruit Snack as a fruit platter for Christmas morning? Eating colourful, healthy fruit is the perfect way to start Christmas Day, particularly if you have a day of heavy eating to follow. 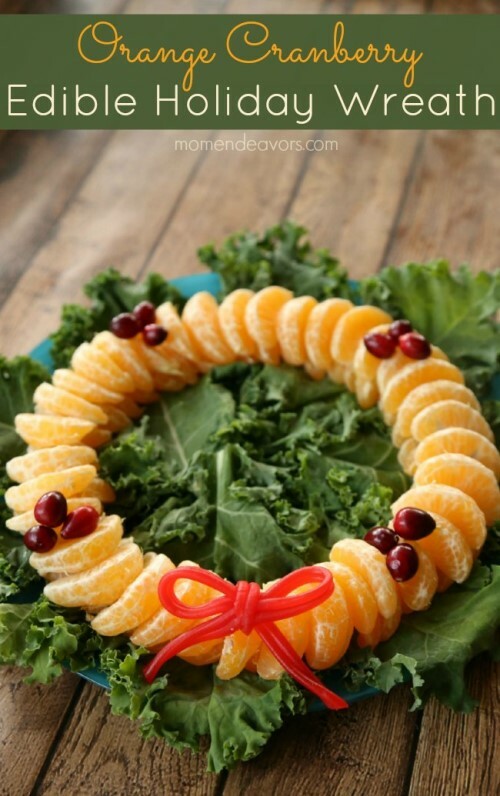 And remember to be creative when making this platter; simply use whatever fruit you have and allow the children to help with decorations. Who doesn’t love cinnamon rolls! This fancy Christmas tree looks good enough to eat (particularly the chocolate trunk!). 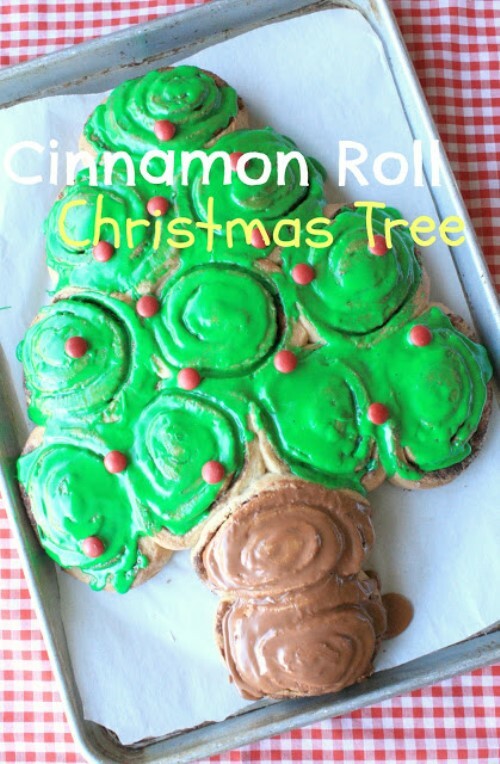 What a great idea to put cinnamon rolls into fancy dress for Christmas breakfast. No self-respecting cinnamon roll lover will be able to resist this breakfast treat. Yum! Have a look at these pancakes! 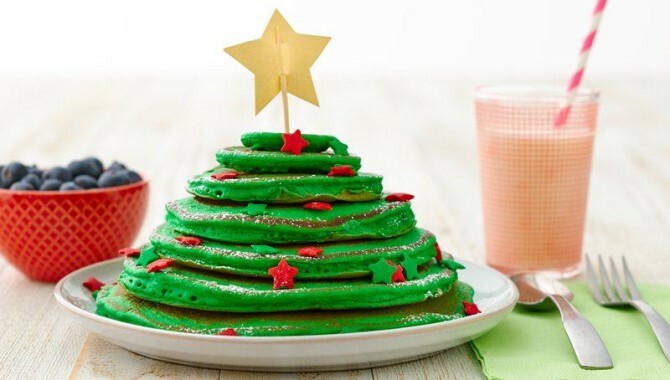 These Christmas Tree Pancake Stacks are so easy to make, and yet another great idea to get the whole family involved in making Christmas breakfast. 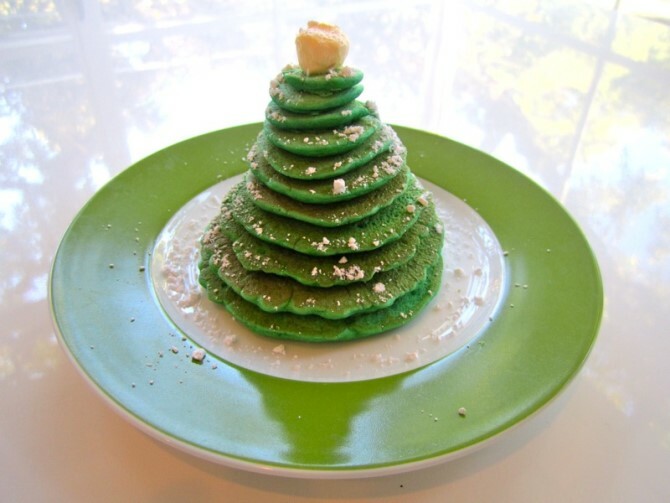 Each Christmas tree is a stack of different sized pancakes, prettied-up with fun and festive decorations. Again, be creative with your decorations, and let the children help. 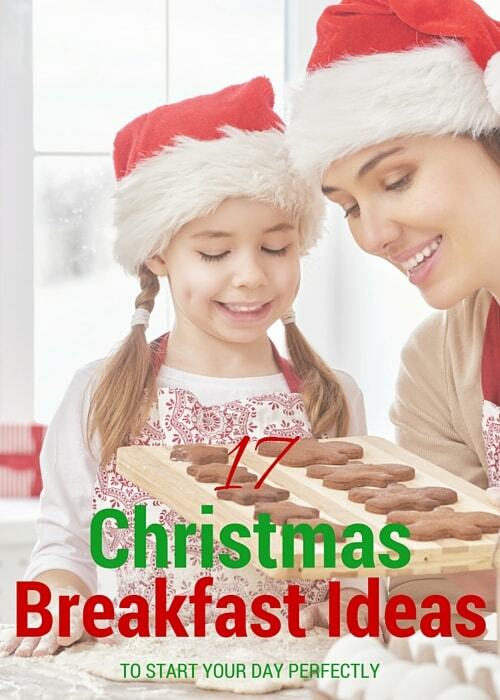 Young and old alike will love this Christmas breakfast idea. 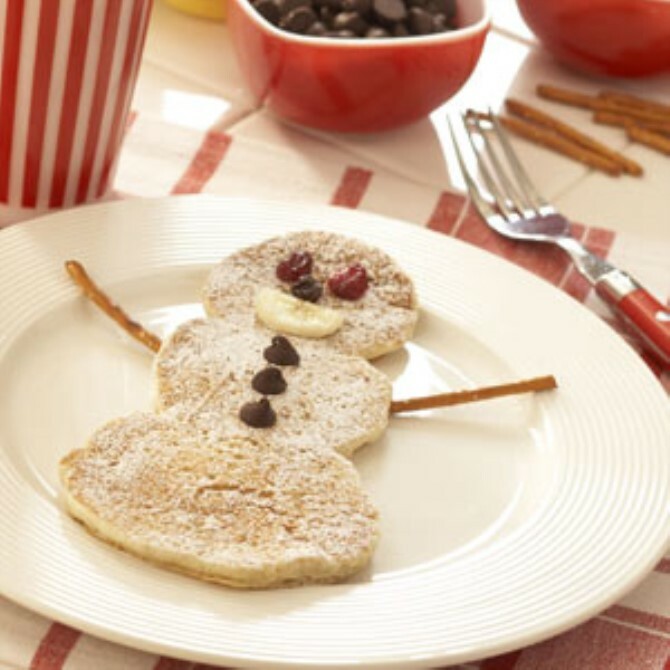 Banana pancakes are simply delicious, and your children will love helping to decorate their Banana Pancake Snowmen on Christmas morning. Sprinkle with confectioners’ sugar, and be adventurous with your decorations. 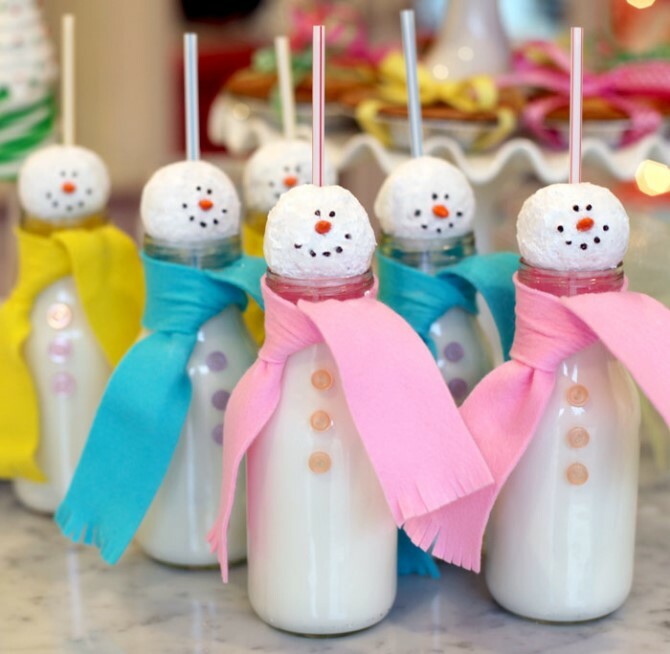 Chocolate chips, banana, cranberries, and pretzels are just some ideas to decorate these fancy little snowmen. 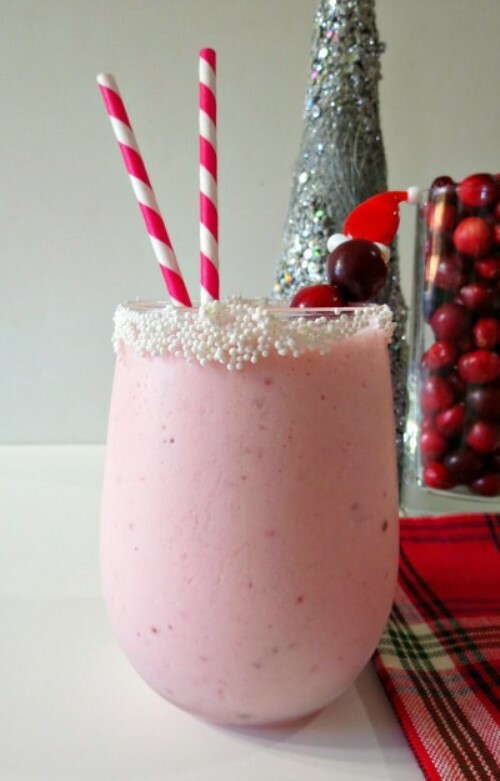 Many people love a smoothie for breakfast and what could be more perfect than a Christmas Cranberry Smoothie! If you’ve got a big day of heavy eating ahead of you, then a Christmas Cranberry Smoothie is the perfect way to start your day. It tastes wonderful, it’s creamy, it’s healthy for you, and it will fill you up. Plus, it will get you into the holiday spirit. If you love cranberries, then this is the smoothie of all smoothies! Have a look at these little cuties! Wouldn’t these fabulous little Milk Men look great on your breakfast table on Christmas morning? They look great, they’re simple to make and, best of all, they make a great impact with very little effort. What could be better than decorating these treats with your favourite Christmas colours and setting them out for breakfast? This is a slightly different version of the Christmas pancake tree, and it’s so, so easy to make. It’s made with packet pancake mix, the finished tree is sprinkled with icing sugar, and it’s finished off with a little syrup on the top. What a beautiful sight to see on any breakfast table on Christmas morning. The children will love these delicious pancake trees, and so will the grown-ups. What a great way to start Christmas Day! 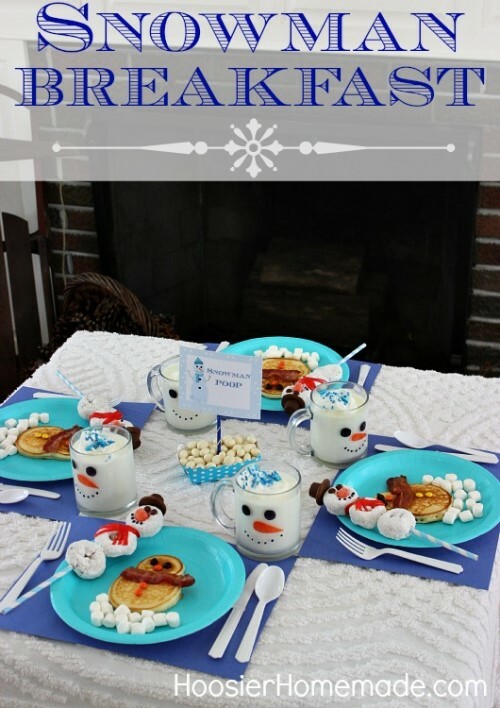 Now this is a fabulous idea if you want to get your children involved in preparing Christmas breakfast. Yes, there are a few stages to preparing this delectable treat, but it will be well worth it when you’re sitting down together as a family at your Christmas breakfast table. Christmas is about spending time with your children and this concept will keep them busy and happy. 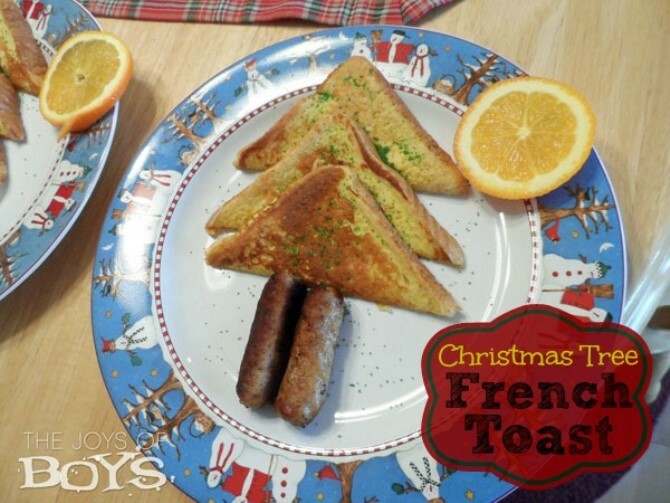 It seems that many people enjoy French toast for Christmas morning breakfast, and why not! Adding the sausages to make a Christmas tree makes this a delicious and fun tree to eat; and there really is very little preparation time. No one wants to be working in the kitchen on Christmas morning, and this delicious breakfast allows everyone time to relax and enjoy each other’s company. 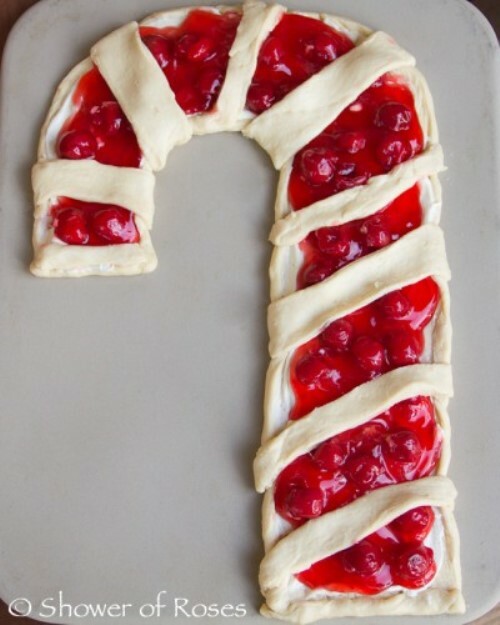 Have a look at this delightful candy cane shaped breakfast treat! This would make a great addition to your Christmas Day breakfast table, and it would make a perfect gift for loved family members and friends. There’s nothing nicer than receiving a home-made gift at Christmas time. 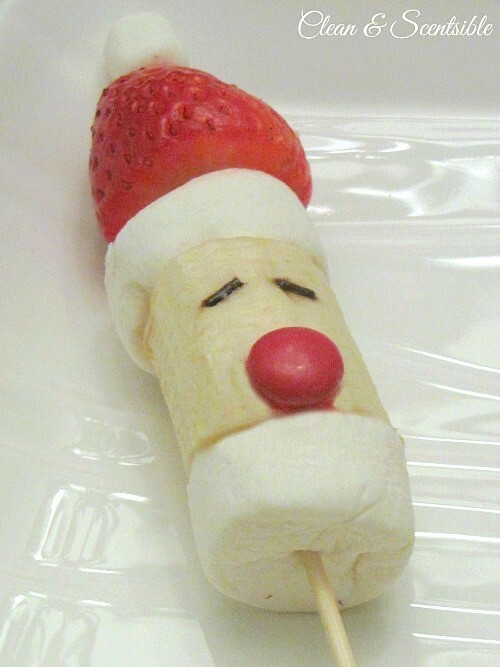 Your children will be very excited when they sit down to breakfast on Christmas morning and see this delicious breakfast treat. Now this is something your kids will definitely love. It’s the simplest of recipes and your children could make these themselves. What a novelty to have on your Christmas breakfast table, and it probably won’t just be the kids who will enjoy these little treats. They’re fun to make and to eat, and they’re healthy. Let your little ones be creative with decorations and see what they come up with. You might be pleasantly surprised! Of course everyone should invite reindeer to breakfast on Christmas Day! 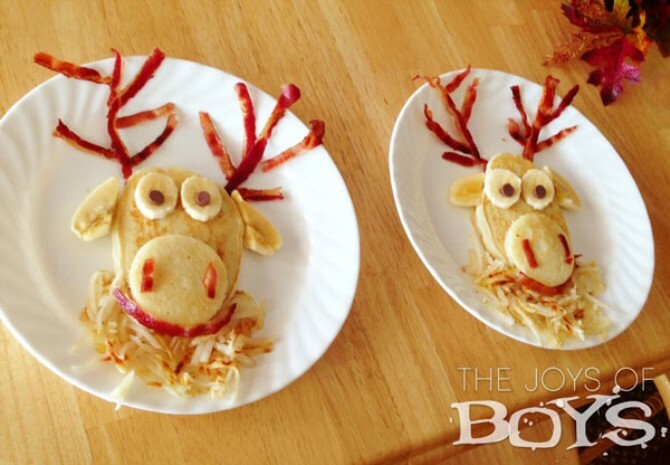 These delicious reindeer pancakes are very simple to make and, again, let your children (and even Dad) help with decorating these lovely little treats. Christmas is about having fun and enjoying family time, and what better way than to spend some time together in the kitchen. This one is indeed a fun and festive platter for the Christmas morning breakfast table. It’s a simple dish to put together and it’s a fresh and healthy way to start the day. You can’t beat bacon and eggs for breakfast, and this is simply bacon and eggs with a twist. Easy to make, absolutely delicious to eat, and a great way to start the day. 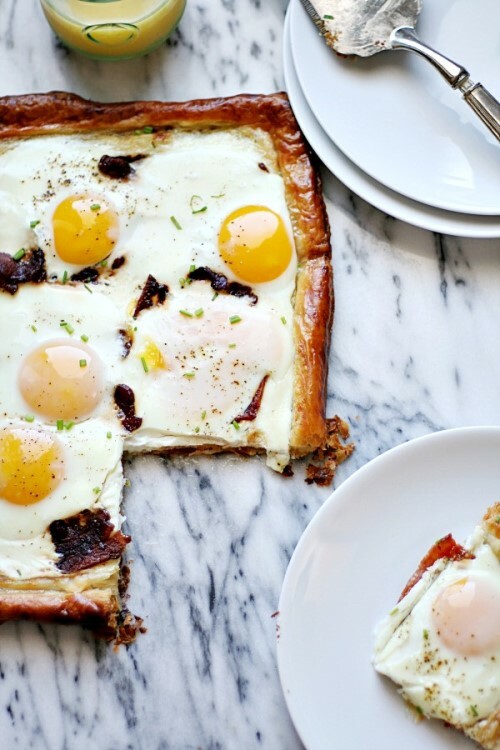 Most bacon lovers will agree that bacon really does make everything better, and this includes puff pastry! 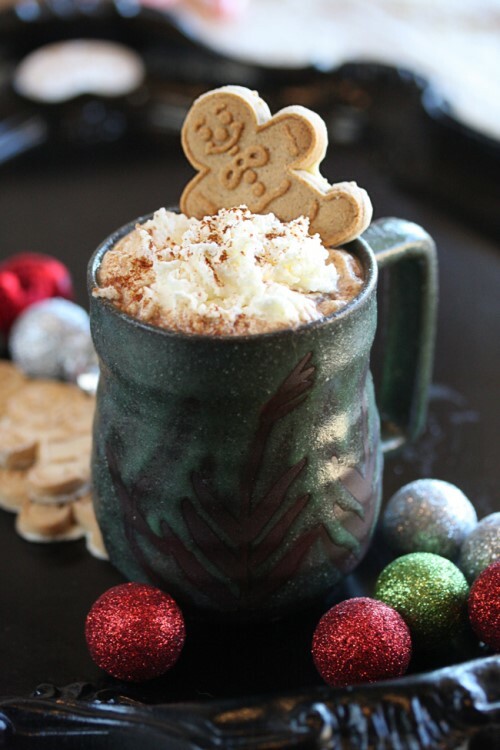 Let’s finish off our list with the most divine drink on the planet – a Gingerbread Hot Cocoa! If you’re still not in the Christmas spirit, then this drink will do the trick, because a Gingerbread Hot Cocoa is heaven-in-a-cup. Or perhaps we meant Christmas-in-a-cup! Hopefully the above Christmas breakfast ideas have given you plenty of inspiration for the perfect first meal on Christmas. And once you’ve prepared your delightfully-looking Christmas feast, wait until the whole family is seated at the table and take some photos of your family just getting started with Christmas Day. For bonus points, use a tripod or selfie stick and include yourself in the photo too, then capture your sumptuous Christmas breakfast forever with a photo printed to canvas.